The creative industries are huge in the UK, generating more value to the economy than the automotive, life sciences, aerospace, oil and gas sectors combined. Creative work provides 2.6 million jobs, with employment in these fields growing three times faster than in the workforce as a whole. 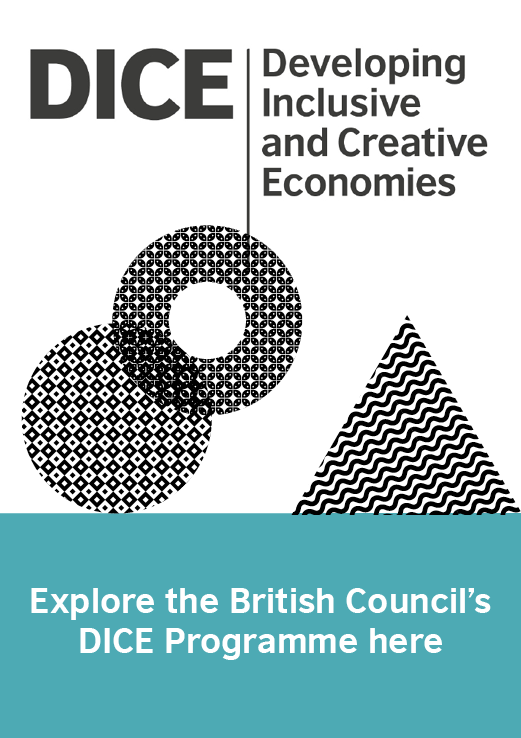 “From that perspective we [in the UK] feel we have something to share,” says Becky Schutt, who heads upthe British Council’s Developing Inclusive and Creative Economies (DICE) programme. 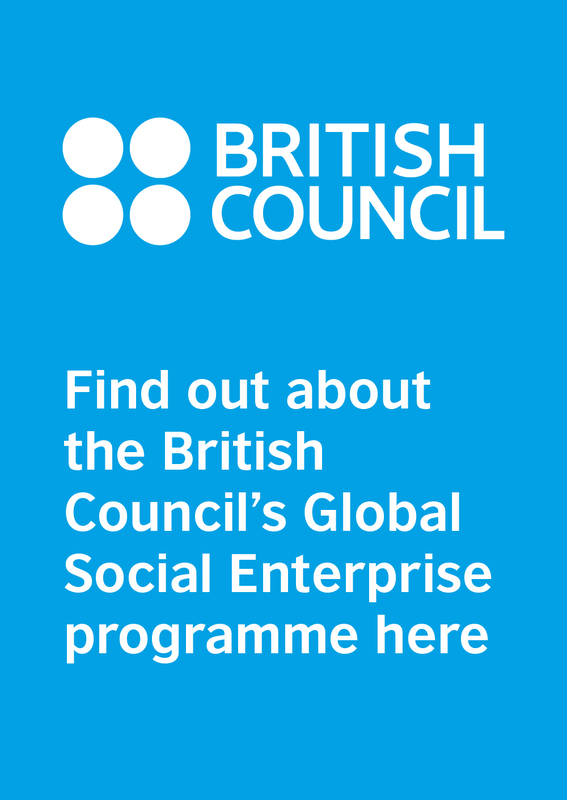 “But we also recognise that we have so much more to learn.” Among the key lessons Schutt hopes will emerge through DICE – which supports innovation and growth among creative and social enterprises in the UK, Brazil, Egypt, Indonesia, Pakistan and South Africa – is less “silo-isation” between these two fields. The divide shows in different ways. Many social entrepreneurs, for example, are familiar with the UN Sustainable Development Goals – some using it as a framework for their own objectives – but their creative counterparts tend to be much less involved in that international conversation. In some parts of the world, creative enterprises are more explicitly articulating their social purpose. “We make the city for ourselves, by creating prototypes of how we would like the city to be… We see design as a way to solve our local problems,” said Tita Larasati, speaking at the International Summit of the Creative Industries Federation in London last month. A product designer, Larasati is one of the 40 or more creatives who formed Bandung Creative City Forum, in Indonesia’s third city of Bandung. The non-profit runs programmes and events to respond to urban problems through community collaboration, education and youth leadership. Creative solutions are particularly compelling in developing economy cities. Populations swell as the economy moves from an agriculture-based to an urban-based one, resulting in new social challenges. But such cities are also a hotbed of new ideas and energy: in Bandung, a city of 2.5 million, 60% of residents are under 40 years old, and there are more than 50 educational institutes. The city hosts numerous conferences and festivals, all encouraging the development of creativity, prototypes and product design in particular. Fifty-six percent of Bandung's economic activities are design-related: fashion, graphic design and digital media are particularly strong. The magic happens, though, when creativity meets community. Schutt says Bandung Creative City Forum is a “really powerful example” of multiple organisations proactively getting together to do something positive for their communities, rather than waiting for government-led initiatives. Their collaboration across organisational boundaries – always “easier said than done” – is also impressive, she adds. Thinking beyond boundaries seems to come naturally to Larasati, who at the summit emphasised the need for a dual perspective in her work. On the one hand, empathy with a problem requires “a global perspective”; on the other hand, working within the local context is crucial. “We don’t just copy what is outside, in the world – we put it into our context,” she said. New arrivals, especially students, bring new dynamics that further shape communities. While creative enterprises with social purpose can achieve significant impact – other examples include Artists for Humanity in Boston (USA) or Porto Digital in Recife (Brazil) – delivering sustainable change is not easy. Often, the social or economic infrastructure is simply lacking, particularly in rural areas. “We have lots of start-ups trying to supply education in the form of sending teachers to places without enough schools, for example,” said Larasati. “Or, what if you have a 21st century piece of technology in your hands but a 19th century way of thinking?” Success requires working with, not for, communities to understand what’s really needed. And success often requires funding – something entrepreneurs in developed countries know all too well. Over 40% of UK-based social enterprises believe a lack of access to finance is a barrier to their sustainability, compared with just 13% of commercial SMEs. Eliza Easton, principal policy researcher on the creative economy at Nesta, the UK’s innovation foundation, said this may be a structural problem within the creative economy in particular. “When you’re talking about a sector where a third are freelance and the majority are micro-businesses, it’s going to be hard to cultivate the skills [to scale and to make use of investment] on top of those needed for your business,” she says. The DICE Fund hopes to fill a small slice of this funding gap, currently offering £2 million in grants to help creative and social enterprises and draw on UK expertise in these fields. Grants will be jointly awarded to partnerships comprising a UK-based organisation and a partner in another DICE country, with a focus on gender equality, youth employment and inclusion. The wider DICE programme also aims to improve enabling environments and strengthen intermediaries in the creative-social economy space.